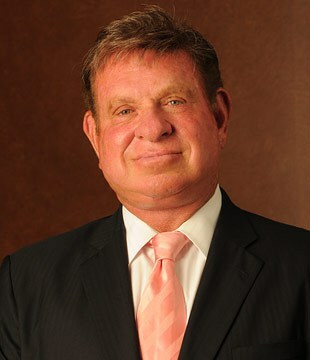 Michael B .Goldberg is a senior partner and founder of the law firm now known as Goldberg Weisman Cairo (GWC). Founded in 1977, GWC has grown into the largest, Personal Injury and Worker’s compensation law firm in Illinois. GWC with 35 attorneys and more than 110 employees has the Resources, Reputation and Respect to get the Results that has enabled them to attain their position as Illinois’ leading personal injury law firm. GWC has developed a national reputation as a premier trial law firm and is often called upon to represent seriously injured clients and their families throughout the United States. GWC is also active in representing union health and welfare funds in securities litigation against many of the major drug companies in the world. Mr. Goldberg is very proud of his standing in the Organized Labor community. He is recognized as a leader in his field and often acts as an advisor to Labor leaders throughout Illinois. Mr. Goldberg is a frequent lecturer at many labor functions and recognizes the importance of education as a necessity in helping the injured worker protect their rights. Mr. Goldberg is extremely proud that GWC has been named designated counsel by many unions to represent their members for injury cases. GWC enjoys close ties to the Iron Workers, Teamsters, IBEW, Carpenters, Laborers, Bricklayers, Plumbers, Pipefitters, UFCW, UAW, SEIU, Elevator Constructors, TCU, Roofers, Boilermakers, Painters, Ceramic Tile Layers, Tuck pointers, Sprinkler Fitters, Technical Engineers, ATU, AFSCME, UNITE, AFFI, MAP, FOP, CTU, IPPFA, Chicago Teachers Union, Nurses Association and Operating Engineers. As a result of their close ties with organized labor GWC maintains offices in union halls throughout Illinois. Mr. Goldberg is frequently seen in Springfield where he is actively involved in protecting the rights of Injured workers through his work with the Illinois legislature. 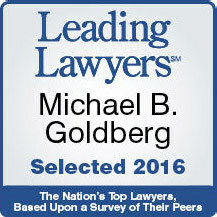 Mr. Goldberg has been bestowed with many honors including Leading Lawyers, Super Lawyers, National Trial Lawyers Top 100 Trial Lawyers, LCCLA community service award, TNBC outstanding service award, GSO man of the year, ATU scholar award and Top Attorneys in Illinois by Chicago magazine. Mr. Goldberg is well known in philanthropic circles. He is on the board of directors of FIDF and has proudly given 10 full four year scholarships to send needy IDF combat soldiers to college. He and his law firm are also strong supporters of many other organizations including Autism Now, Helmets to Hardhats, Bravehearts, DADS, Juvenile Diabetes, MDA, University of Rochester, Leukemia Society, JUF, Michael Matters, Bear Necessities and various cancer and heart related charities. Michael is married and has five children, two of which followed him to DePaul Law school. His son Corey is an attorney at GWC and his daughter Lindsay works as an Erisa and employee benefits attorney.